Appsafrica Advisory is a private consultancy service providing expert insight helping to build strategy, drive expansion and support operations for companies entering or expanding in Sub-Saharan Africa. 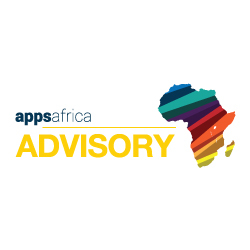 Appsafrica Advisory’s goal is to make our clients life’s easier by providing a suite of services and capabilities to launch, expand and execute mobile and technology projects across Sub-Saharan Africa. Our team of advisors possess the experience, capabilities and wide network in the African tech ecosystem to benefit our clients goals. Today, we work in Europe and Africa helping companies across various sectors launch, expand and execute mobile and technology projects across Sub-Saharan Africa and exporting into Europe. Our advisory service is built on our teams vast experience in launching mobile messaging, value added services (VAS), payments, insurance, research and marketing services across the continent. To discuss our services in detail please fill in the contact form below and we will contact you.